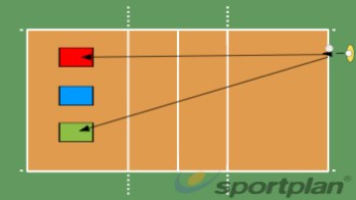 Serving from baseline, player attempts to hit mattress in zone 1, zone 6 and zone 5. You may tell player which mattress you expect them to hit or ask them which one they would prefer to hit. Have them execute and count accurate ones.